Need Better Pricing for Landlord Insurance in Baton Rouge? If so call Jeff Davis Insurance at 337-824-4455. Click on Baton Rouge Landlord Insurance to submit your information to us online for single family units. For multi unit complexes or apartment buildings call us by phone. As a leading independent insurance agency we specialize in offering competitive options for landlord insurance in Louisiana. Why Choose Your Landlord Coverage Wisely? If you are a full-time real estate investor your properties are likely your largest investment. Even if you’re only a part-time real estate investor perhaps your property holdings are meant to fund your retirement. There are several methods you can take to insure your properties. 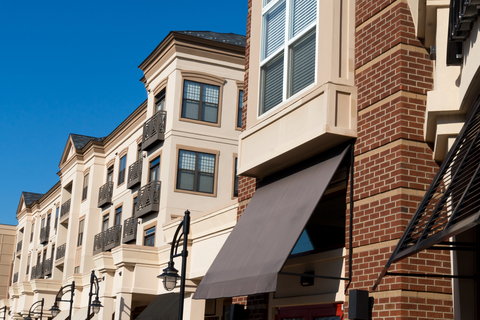 If you own a number of properties including apartment buildings a commercial package policy may be a good option for your needs. What Is the Advantage of a Commercial Baton Rouge Landlord Insurance Policy? In most instances it will be possible to insure every property you own on one policy. This makes it more convenient and organized for the real estate investor. Additionally higher limits of liability may be obtained when your properties are listed on a commercial package policy. The only exception of insuring all properties is when you purchase a building that needs substantial renovation. You may not be able to cover such buildings on a commercial package policy. Are There Any Downsides to the Commercial Package Policy for Real Estate Investors in Louisiana? Claims activity, access to better pricing, segregating your properties based on the legal entity that owns the property. Claims Activity– Some property investors who previously insured their real estate holdings on one commercial policy after significant claims activity from only one or two properties were canceled leaving them to scramble to secure coverage for the other properties that were claims free. Access to Better Pricing – For smaller real estate investors it may be more expensive to insure your properties on a commercial package policy. Of course it always depends on the circumstances; we can offer quotes either way. Segregating Your Properties – Some property investors form an LLC Corporation for each building to keep everything legally separated to minimize their losses. An insurance company offering commercial package policies may not allow this. We Can Help You Choose the Best Options for Landlord Insurance in Baton Rouge. We at Jeff Davis insurance have been helping real estate investors for over 50 years to find the best options for landlord insurance in Louisiana. Call us at 337-824-4455 to speak with one of our landlord experts or submit your information to us online by clicking on Landlord Insurance Companies Baton Rouge. This entry was posted in Louisiana LANDLORD INSURANCE and tagged Baton Rouge Landlord Insurance, Commercial Baton Rouge Landlord Insurance Policy, Landlord Insurance Bossier Louisiana, Landlord Insurance Companies Baton Rouge, landlord insurance in Baton Rouge, landlord insurance in Louisiana, Landlord Insurance Jennings, Landlord Insurance Kenner Louisiana, Landlord Insurance Lafayette Louisiana, Landlord Insurance Lake Charles, Landlord Insurance Metairie Terrace, Landlord Insurance Monroe Louisiana, Landlord Insurance New Orleans, Landlord Insurance Shreveport Louisiana. Bookmark the permalink.